As I meditate on the birth of the Babe of Bethlehem I wish there were words in the English language to describe the wonder of who He is. It would take the language of angels to describe He who is indescribable. O, how I wish I could describe Jesus! While language exists as a means of expressing our thoughts, there are yet no words to describe the wonder of Him who is called Wonderful. The names that describe Him are inexhaustible. He is Jesus for He came to save us from our sins. He is Emmanuel who came to be God with us. He is Christ the anointed One from heaven. He is Messiah who fulfilled every OT prophecy about the Promised One. He is the Prince of Peace in the midst of our turmoil. He is Counselor in our confusion. He is Mighty God in our weaknesses. He is the Everlasting Father when lonely. He is Light in the darkness of this world. He is Resurrection when death knocks upon our door. He is Truth in the midst of abounding error. He is Righteousness for my unrighteousness. He is the Ancient of Days in our vanishing days. He is Anchor when we find ourselves drifting on the sea of life. He is our Rock when our feet sink beneath sinking sands. He is Redeemer who bought us back from the clutches of sin. He is the Bread of Life who nourishes our soul. He is the Water of Life who quenches the thirst of our spirt. He is the Bright and Morning Star who shines His Light into our hearts. He is Comforter in our hurts. He is the Chief Cornerstone who upholds our life. He is the Great I Am who meets every need of the heart. 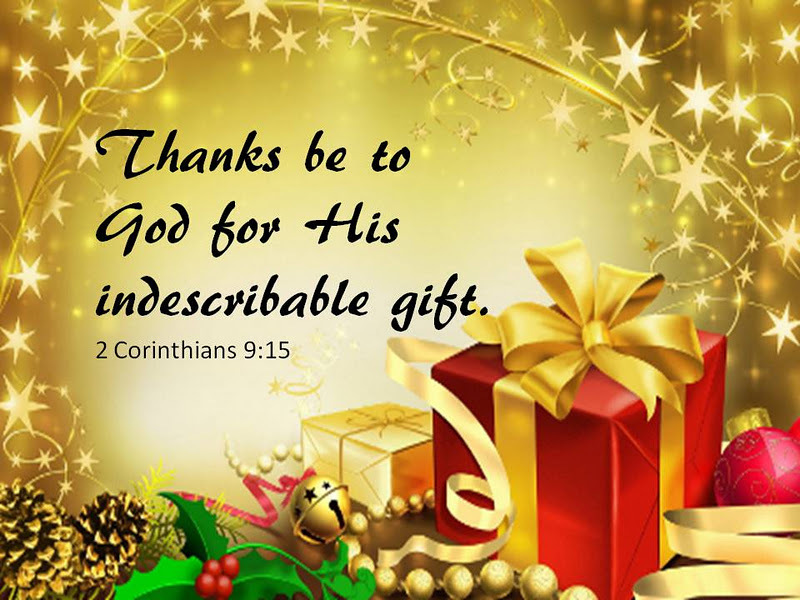 He is the Gift which grace has provided. He is the High Priest who offered the Perfect Sacrifice…and that Sacrifice was Himself. He is our Intercessor who sits at the right head of the Father on our behalf. He is our Surety who did for us what we could never do for ourselves. He is the Lamb of God who came to take away the sin of the humanity. He is the King who desires to sit on the throne of our hearts. He is Alpha and Omega, the First and the Last, and He is the Author and Finisher of our faith. He is the Sun of Righteousness who rises with healing in His wings. He is the Last Adam who was victorious as the first Adam failed. He is the Good Shepherd who is our Guide. He is the Exact Image of God who expresses the Father to us. He is the Man of Sorrows who weeps with us in our hurts. He is the Mediator who stands between man and God. He is our Advocate who pleads our case before the Heavenly throne. He is the First Born from the Dead as He conquered death, hell and the grave. He is the Door through which we enter into salvation. He is Friend to the friendless. He is Hope to the hopeless. He is the Rock upon which we stand. He is the Vine through which we draw our life. He is the Word by which the Father speaks to us. He is Revelator by which the Father reveals Himself. He is the Great Physician who can heal all our spiritual woes. He is the Branch on whom we can hang our every burden. He is the Master unto whom we yield our allegiance. He is the Faithful and True Witness who we can count on. He is the Lover of my soul who while I was yet a sinner died for me. He is the Key of David who holds the key to life. He is the Atonement who makes it possible for us to have at-one-ment with the Father. He is the Amen of whom none greater came after Him. He is the King Eternal who chose to dwell with us in time. He is the Forerunner who leads us through the wilderness. He is our Passover resulting in the curse of death and sin passing over us. He is the Carpenter who desires to reconstruct in our lives. He is the Just One who someday right all wrongs. He is the Seed from which believers’ sprout. He is the Unchanging One who is the same yesterday, today and forever. He is the End of the Law fulfilling the Law for us. He is the Rose of Sharon who adds fragrance to our lives. O, how I wish I could describe Him!! Great effort to describe Jesus Christ of Nazareth who is indescribable.